JAMIESON CREEK is about a 15 minute drive from our home, along a dirt logging road. The Kamloops, British Columbia, region is a geologist’s dream come true, featuring some of the oldest mountains in Canada. 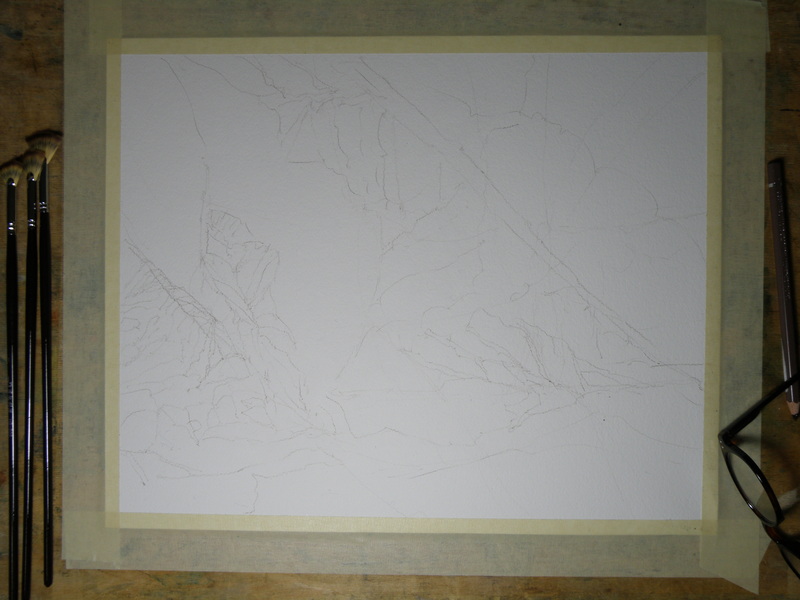 As a student of watercolour, I am fascinated by stone and rock, particularly because it is so challenging as a subject. 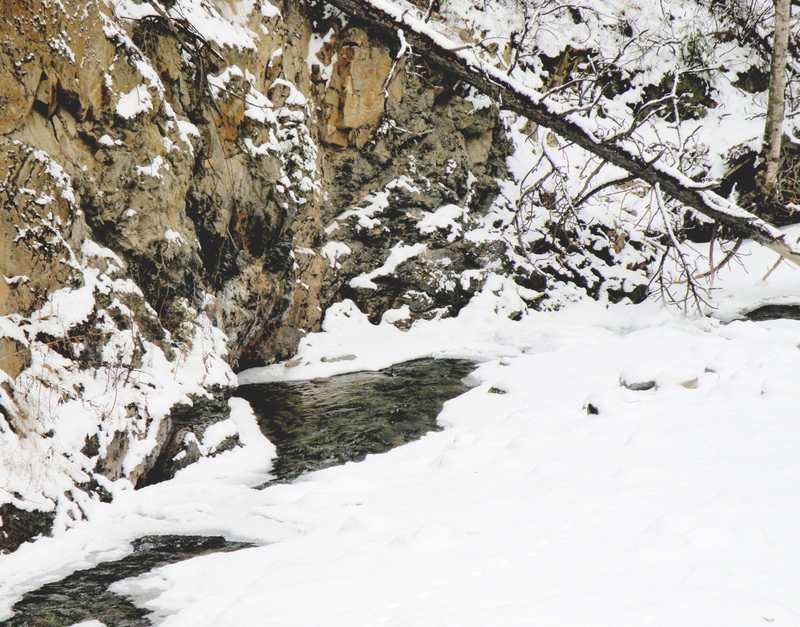 This is Jamieson Creek, taken four years ago around February, early March…. And here is my initial drawing of the subject…..
As you can already see, photography is not my gift (which is why I paint, lol)–so forgive the darkness. It was taken, pre-dawn in the spare room which serves as a studio.